For those needing a little more strength, length and tonnage, or need multiple tool stations to get the job done, the Cone 1300 & 1600 servo-electric press brake is the one to look at. TwinCone represents the new generation of press brakes. 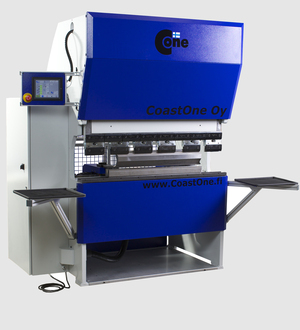 TwinCone is servo driven press brake equipped with high class linear guides. TwinCone is specially designed for accurate bending process for demanding solutions. TwinCone is meanwhile biggest from Cone Series. TwinCone has two servo motors. The cornerstones of the TwinCone developement have been ergonomic design, user frendly programming system as well conveninet working conditions for the operator. As well we have to remember that TwinCone 1600 is really frendly for our environment. As mentioned TwinCone is servo driven press brake and no oil changes are needed, and no waste oil exist and stress our environment.